Few controversies exist in modern medicine like those stirred up by complementary and alternative medicine (CAM). While some doctors and patients embrace them and make use of CAM, even integrating them with conventional therapies, other professionals, and patients dispute their efficacy, believe they may be dangerous, even think they are either a joke or a criminal activity. In fact, the truth depends on which aspect of CAM is being discussed. One of the biggest differences between CAM and conventional medicine and the basis of much of the controversy is the evidence, or lack thereof, that CAM actually works to improve a patient's well-being. Most conventional medicine aims at making recommendations to patients that are grounded in evidence accumulated through clinical trials and other research. The great majority of this research has been done on conventional therapies, like pharmaceutical drugs. 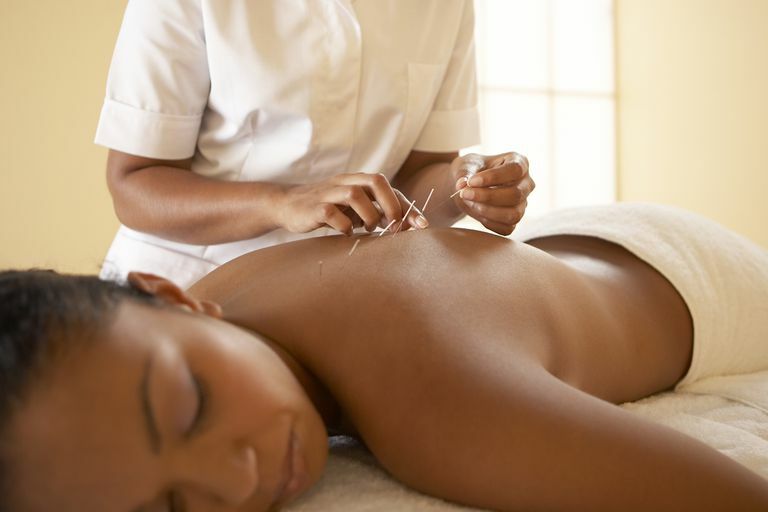 Little evidence proves alternative or complementary therapies work. But that's not necessarily because those therapies don't work. It's just that most have not been researched. Why the discrepancy in the amount of research between the two approaches? Profit. Most research is supported by for-profit organizations like pharmaceutical and medical device manufacturers to prove that their drug or device works. With proof, they can get FDA approval to sell their drug or device. Even research being done in nonprofit organizations like universities and academic medical centers is mostly being conducted through grants and foundations developed by for-profit companies. There isn't as much money to be made if the evidence for CAM therapies is shown to exist. Further, no research needs to be done to achieve FDA approval (see below.) Therefore, except for government research projects through the National Center for Complementary and Alternative Therapy (part of the National Institutes of Health), the research simply does not exist. If the research doesn't exist, then the efficacy of CAM therapies can't be proved one way or the other. Maybe it works. Maybe it doesn't. We just don't know. That means we mostly rely on anecdotal evidence. For some integrative medical professionals, and patients, anecdotal evidence is all that's required to decide a CAM therapy is useful. There are no studies to prove that the pulp of an aloe vera plant can provide burn relief, yet many of us grow aloe plants for just that purpose. Natural supplements are a multi-billion dollar business in the United States, yet most of those supplements have no proof to show they work. Some even have proof that shows they don't. But people still buy them. Skeptics will tell you that spending money on CAM supplements and therapies is a waste of money. It may even be dangerous. Choosing a CAM therapy may cause a conflict with a current, conventional therapy which can result in additional medical problems when they are used together. Using a CAM therapy in place of a conventional therapy may mean improvement in health, or it may mean death. However, even these reports are anecdotal. The evidence of the conflicts and deaths is not based on studies or clinical trials either. Anecdotal evidence is not enough for many conventional medical doctors. And that raises another problem, and controversy -- honesty. Sometimes a patient makes a choice on a simple belief, based on no more than something someone else has told them, or a label they have read on a bottle of supplements, or reading a website that may, or may not, be credible. Then, they decide their doctor might be upset or pass judgment on them for taking that supplement or choosing that therapy. So they don't tell the doctor. Withholding such information can be dangerous. For example, a patient might believe that taking a certain supplement will relieve her pain, or boost her immunity. In fact, it may conflict with a drug her doctor prescribed, or it may simply negate the benefit of the drug (or vice versa.) An example of this is the use of drugs for gastro-reflux disease (GERD), called proton pump inhibitors (like Prilosec, Nexium, Prevacid, Aciphex and others), combined with some forms of calcium supplements taken to strengthen bones and teeth. The drug cancels out the benefits of the calcium. The wiser patient is honest with his or her doctor. Another major problem for patients and doctors who want to choose a CAM therapy is that most have not gone through any form of approval process with the FDA. Conventional therapies are rigorously tested and must apply to the FDA in order to be released and marketed to the public. CAM therapies do not require FDA approval. Since CAM therapies do not have that same requirement, it's difficult to judge whether they are safe or not. There is also the question about using the word "natural." Many herbal supplements, for example, claim to be natural. But natural and safe are not necessarily the same thing. Arsenic is natural and deadly. So is hemlock, among many other toxic plants. A wise patient will learn more about how these studies work and the controversies behind gathering the evidence. One of the important aspects of choosing the right doctor is to check into his or her qualifications. Medical education, state licensing, and board certification -- these are important credentials that improve the chances you will get the advice and follow through you need. There are formal educational opportunities, including degrees and certificates, for some (but not all) CAM approaches. There is formal training for chiropractic, massage therapy, and doctors of naturopathy, for example. Please note, a naturopath and a doctor of naturopathy are not the same. The people who practice CAM medicine may or may not need to be educated or licensed. Some are. Some aren't. With few exceptions (and those exceptions vary from state to state) anyone may read a book, take a course, or simply hang out a shingle saying they are a practitioner of whatever therapy they claim. To find out whether your particular therapy choice requires a license in your state, you can do a search for the name of the therapy, your state, and license. Example: "acupuncture, Texas, license." If you learn the therapy requires a license, then be sure the practitioner you choose is licensed.